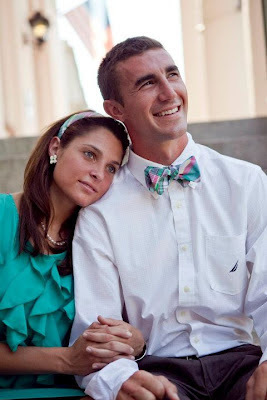 It seems as if I see more and more guys wearing bow ties these days. I've always felt that only certain dudes could pull it off, sort of like with scarves, ascots, suspenders, or even fedoras (don't wear all of those at once please). Those stylish items have to fit your personality or befit your character, so to speak. But I think I'm beginning to warm up to bow ties, thanks to a Charlotte-based company. High Cotton Ties launched two years ago by mother-son team Judy Hill and James Hill, and their brand of 100 percent cotton, handmade bow ties have grown rapidly in popularity. The ties are now sold in nearly 100 clothing stores and boutiques in more than a dozen states, primarily throughout the South but as far north as Maine and as far west as Texas. High Cotton's tagline is "A True Southern Accent," and bow ties, to me, evoke imagery of sitting on large front porches in rocking chairs sipping sweet tea. I can dig that. I am a South Carolina native, after all. A High Cotton madras bow tie on the gentleman and a matching headband on the lady. I've been loving the photos of the ties--and the lifestyle scenes captured in them--that High Cotton has been posting on its Facebook page. And the reason, in particular, I'm now considering giving this style a shot is because I like the bow ties in its spring 2012 collection. The colors are so vibrant and make you want to dress up for a steeplechase or outdoor Sunday brunch, both of which I hope to do this spring. Wearing a bow tie would be a stretch for my wardrobe stylings of the past, though. But what the heck, you gotta change up things sometimes. And I think chicks dig 'em, which is another plus. Visit highcottonties.com for all the details.